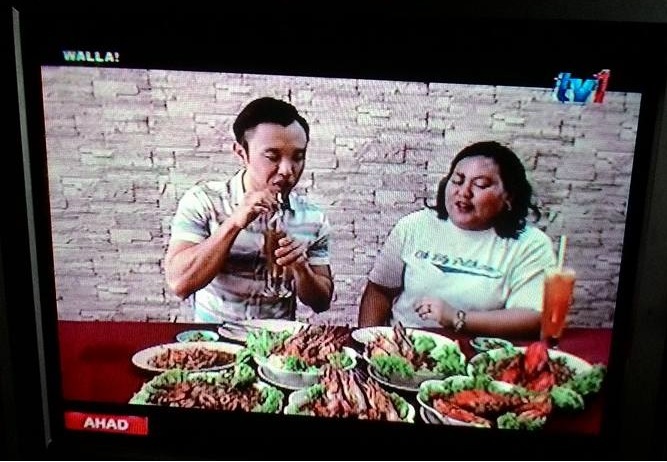 Sedikit info mengenai mApp event baru-baru ini. 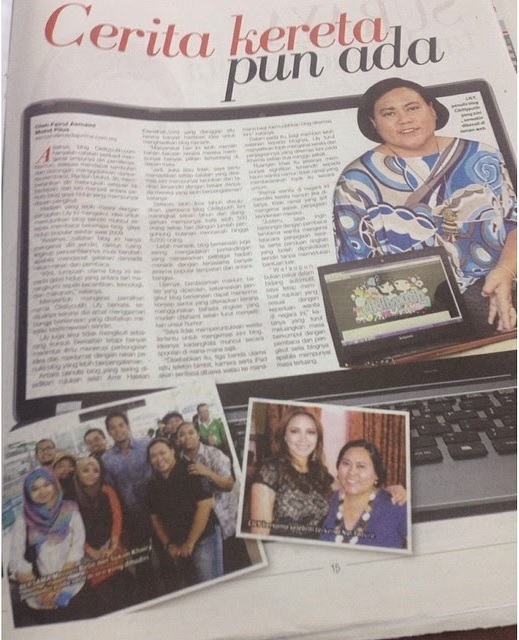 Leceh nak translate so aku copy semuanya sekali sebab banyak terms yang kalau di translate bunyi lain plak nanti. 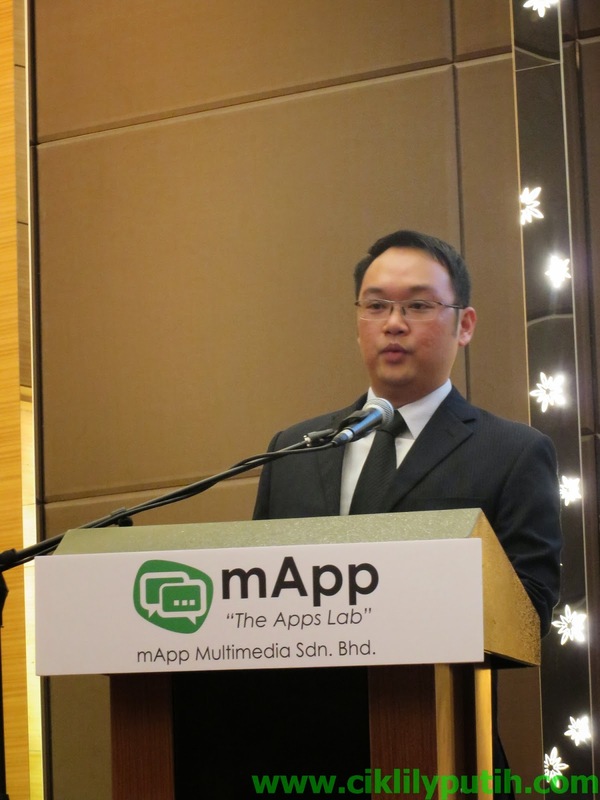 mApp Multimedia Sdn Bhd, a local app developer, officially signed a Memorandum of Understanding (MOU) with China's e-commerce services giant Hang ZhouYuker Web-Technologies Co. Ltd., for WeChat micro application development, at the Swiss Garden Hotel & Residences in Kuala Lumpur. Representing mApp Multimedia was its Managing Director Mr Millan Lee, while Hang Zhou Yuker Web-Technologies was represented by its Operations Director, Mr Jeff Lee Jun Qi.Observing the proceedings was Mr. Wang Gang, Technical Director from ZhongKe Net. 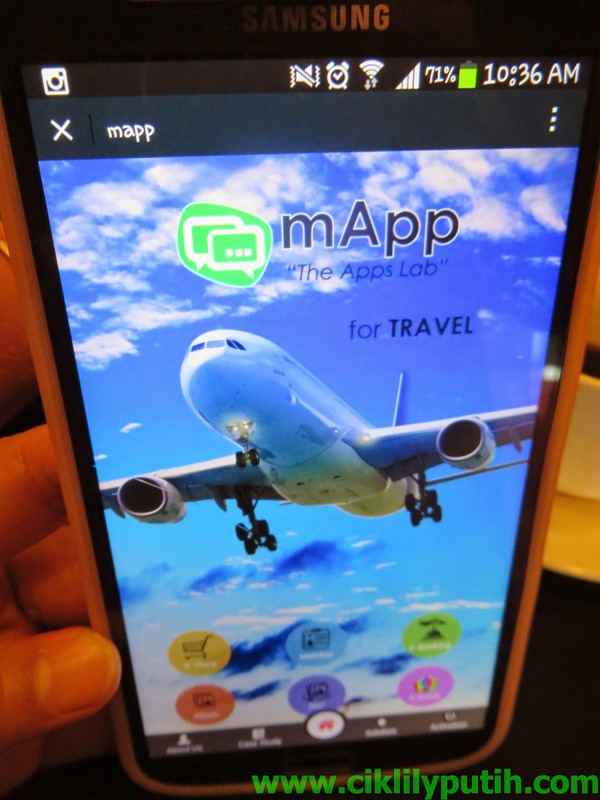 As an authorized WeChat contracted APP developer for Hang Zhou Yuker Web-Technologies,mApp Multimedia will be able to develop highly engaging and interactivemicro applications that will run within the WeChat platform. WeChat, which began originally as "Weixin", a project at Tencent Guangzhou Research and ProjectCenter in China since October 2010, was invented by Xiaolong Zhang, and named by Tencent CEO, Ma Huateng. It was rebranded in April 2012 as WeChat for the international market and is currently the second highest ranked cross platform social messaging app in the worldwith over 330 million active monthly users. mApp Multimedia is expected to help clients leverage on this sizeable community by building targeted, dynamic andextremely effective micro apps that will be incredibly beneficial for users of the social messaging platform. 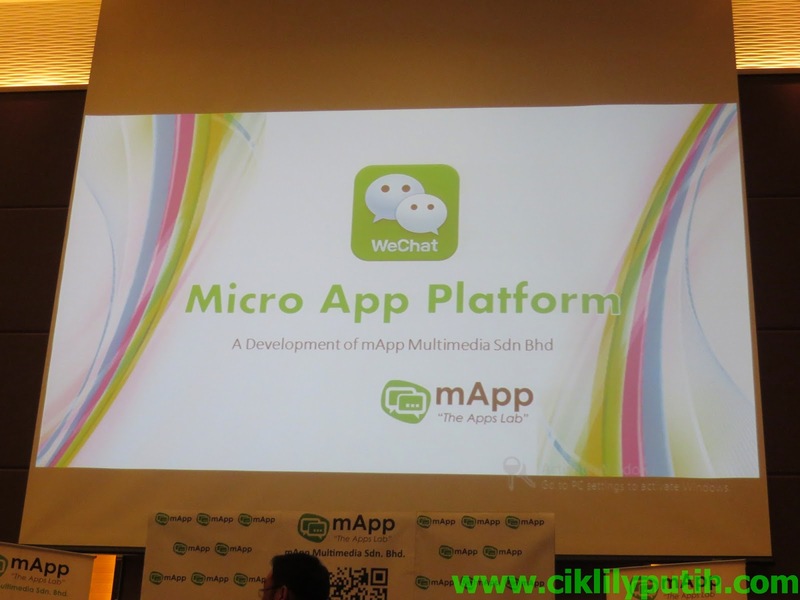 The mApp micro app solution will also enable Malaysianretailers and corporate entities to achieve even better sales returns or higher marketing and branding reach via the WeChat social messaging platform. 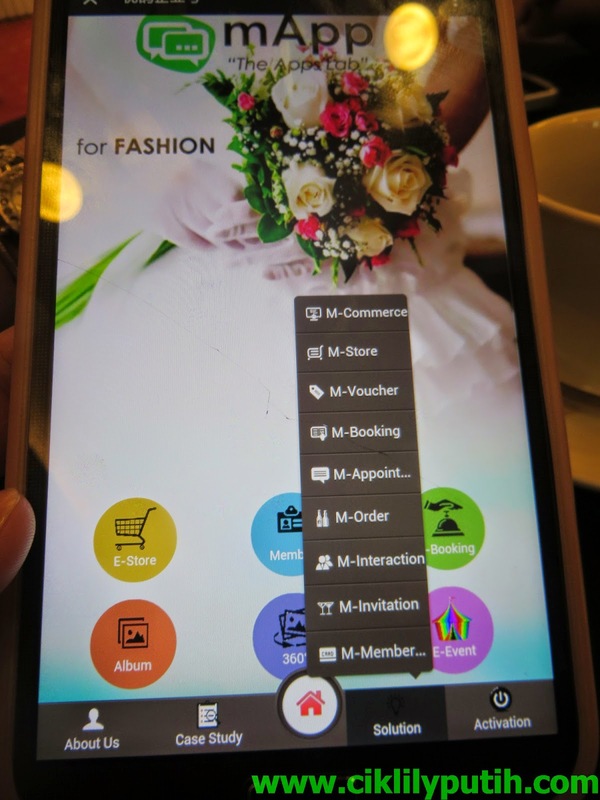 Among the interactive apps or features that can be created using the mApp micro app solution include items such as Micro Mall, Group Buy,M-Membership, M-Appointment, 360 Degree Panaromic Visual and M-lnteractive,all running within the WeChat platform. It presents an incredible opportunity for businesses to tap on thehuge volume of active users on WeChat, by presenting these users with functional information, privileges and loyalty benefits through push notifications andpromotional mechanisms, bringing on a whole new dimension to using social messaging. 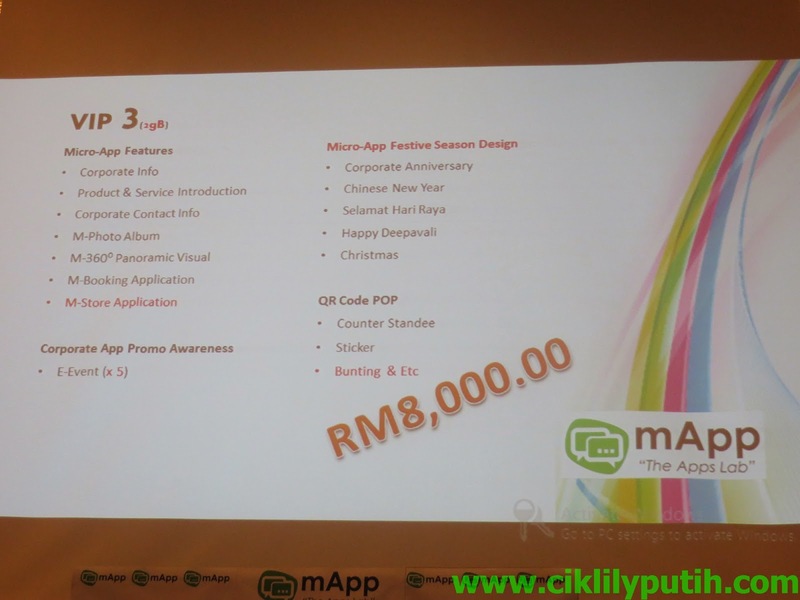 Three different packages of the mApp solution is currently being offered- the basic VIP1(500MB), VIP2 (1GB) which includes Photo Album,360 Degree Panaromic Visual and M-Reservation and VIP3 (2GB) which comes with M-Shopping as well. 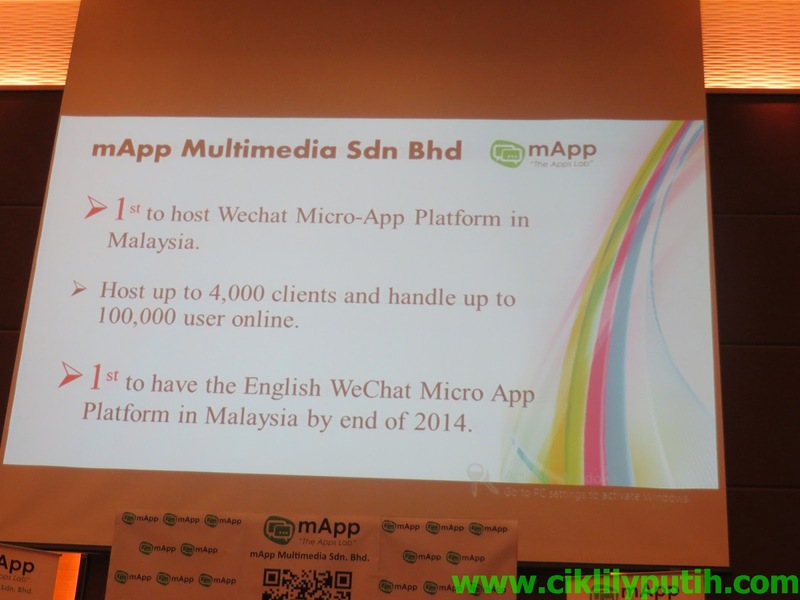 mApp Multimedia is an authorized WeChat contracted APP developer for Hang Zhou Yuker Web-Technologies Co. Ltd. here in Malaysia. 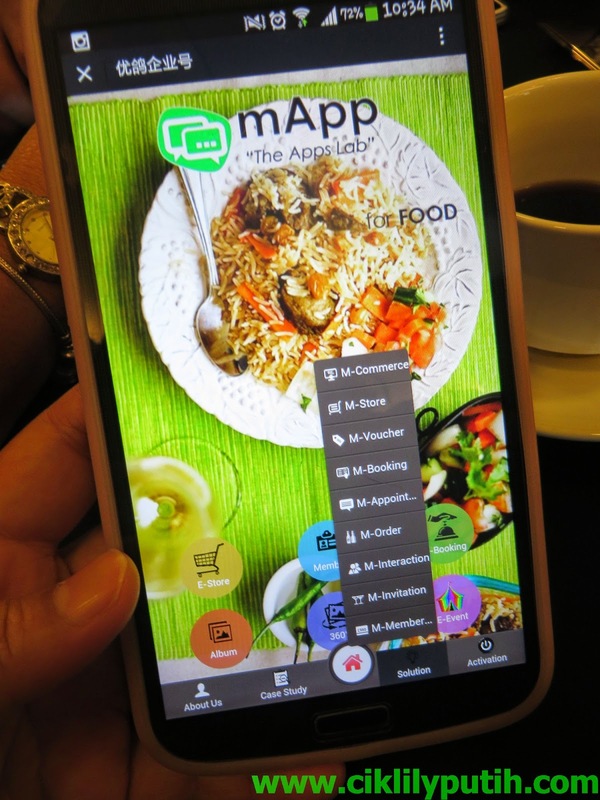 mApp Multimedia is driven by a simple goal, that is to deliver high quality software to their clients,and to ensure projects are run efficiently, strategicallyand predictably on the WeChat platform. 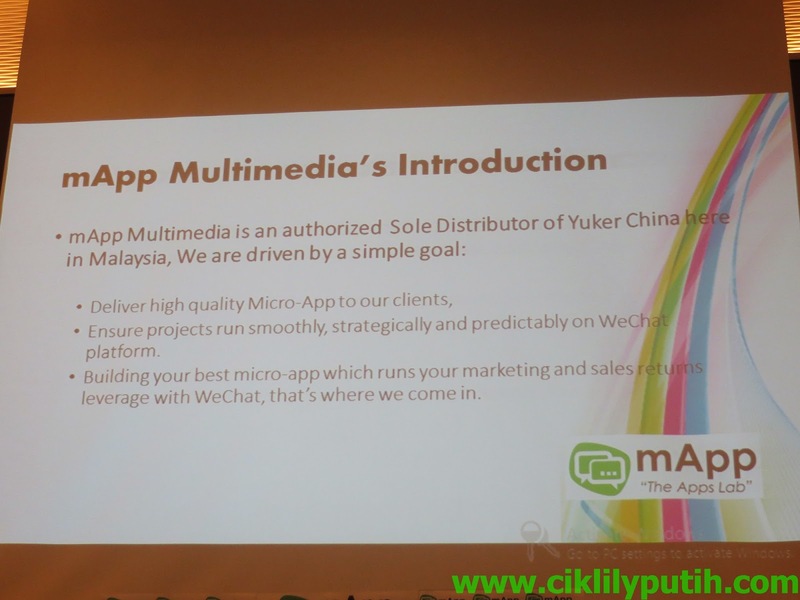 mApps Multimedia's goal is to build outstanding micro apps that will leverage on the WeChat platform for their clients'marketing and sales advantage. Hang Zhou Yuker Web-Technologies Co Ltd is a well-known provider of one-stop solutions for ecommerce services to Brand Entrepreneurs and SmallEntrepreneurs. The e-commerce developer provides brand hosted operating services, ecommerce training services and distribution channels hosted services. HangZhou Yuker Web-Technologies Co. Ltd. also provides hosted operator services to China's online shopping superstore Taobao, which includes personalised servicesin every part of the enterprise's e-commerce chain. The services include Business Registration, Product Shooting, Online Shop Renovation, Activities Registration &Planning, Product Promotions, Online Advertising Placement, and Web-Distribution Channels.Hang Zhou Yuker Web-Technology Co. Ltd. has always been stronglycommitted to the development and growth of the e-commerce industry and upholds the vision of providing the best professional experience to achieve the bestpossible success for its customers. With commitment like this it is no surprise that Hang Zhou Yuker Web-Technology Co. Ltd. has launched over thousands of appssince 2012 in China, and continues to launch between 400 and 600 WeChat apps per month.